Genesis Beijing is located at No. 8 Xinyuan South Road, Chaoyang District, Beijing, at the southwest of Yansha Bridge, in the hinterland of the 2nd and 3rd embassy zone of the core area of Lufthansa Business Circle. It takes 5 minutes only to Liangmaqiao Station-Metro Line 10 on foot, and 30 minutes to Beijing Capital International Airport by car or by Airport Express. It forms a three-dimensional transportation network consisting of the 2nd ring Road, the 3rd ring Road, Metro and Airport Expressway. It is the core area of Beijing. Genesis Beijing overlooks the low-density embassy area and the vast green area where is compared to New York Central Park, which shocks the view. 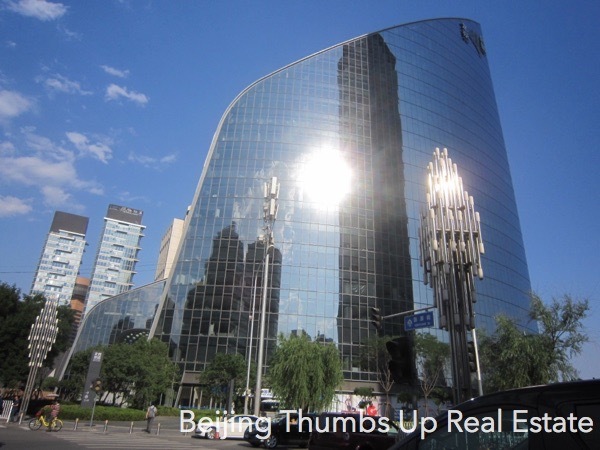 Genesis Beijing has become a new highlight of Beijing office building with its excellent quality, novel shape and high-quality service. The 1,700 square meters of magnificent office building atrium can hold concerts, art exhibitions and fashion shows and other activities, bringing new inspiration to people and stimulating creativity. The single floor area of Genesis Beijing ranges from 1,600 to 4,100 square meters, which can meet different needs. Super-large graphic design and removable floors compress office space in the same floor or relatively few floors. As a result, it saves the office space and administrative office cost, provides direct communication efficiency, promotes interaction and stimulates the creation of flat with column-free, modular design to satisfy the flexible layout within the enterprises. Developer: Genesis property (Beijing) Co., Ltd.